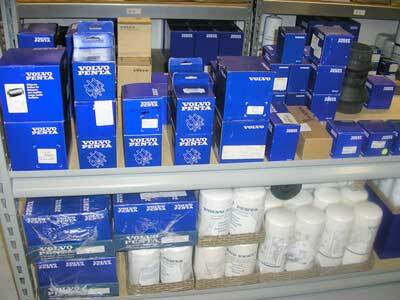 Marine Maintenance carry's a large inventory of parts from our Dealer lines. (Volvo, MAN, Kohler, Cummins Onan, Cummins MerCruiser Diesel, Northern Lights, Westerbeke, Mase, Flo-Scan, Glendinning and Algae-X) Most parts are in stock and ready for drop shipment or to be picked up at our parts department. If we don't have the part in most cases it can be dropped shipped to you within 24 hrs. Are you looking for a hard to find part? Do you have an older engine and parts are hard to come by? Need parts from another dealer line? After over 12 years in business we have built the resources to help you get what you need. Contact our Parts Department and our trained staff will be glad to help. 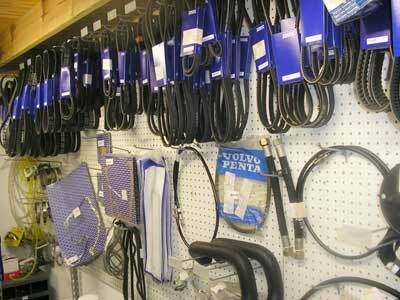 Volvo Parts can now be purchased Online! Click Here to shop Now.